Lately, I’ve found myself wanting to write a lot about my daughter Madelyn. “So many stories to tell, so little time to write!” I often think. Gone are the times when I could write personal essays for hour-long periods without interruptions. Being a mom forces you to learn how to be patient as a writer, to take advantage of 15-minute chunks of time when you actually have a hand to spare. For me, that usually means typing with one hand on my phone while nursing Madelyn in the other. For the first two months after Madelyn was born, I hardly wrote about her, but I thought about it all the time. I chalked it up to being sleep-deprived and scatterbrained and busy. But once I started being honest with myself, I realized it was because I felt lost as a writer. 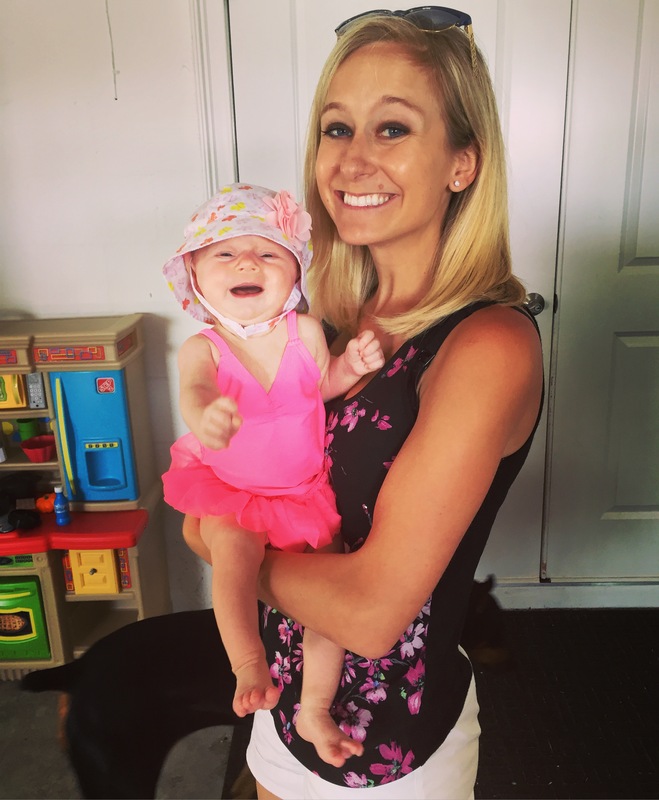 I’ve written about motherhood for years, but I’ve always done so from the perspective of a daughter — one who lost her mom at an early age and then struggled with disordered eating for almost two decades. My writing was often rooted in sadness. Now, I’ve had to find my voice as a mother, one who is writing mostly from a place of newfound health and happiness. A good friend once told me that it’s easier to write when we’re struggling. I’ve always found this to be true, maybe because writing helps me make sense of hard times. But it can also help us make sense of new adventures. At some point soon, I’m hoping to do more research and writing for my memoir, a labor of love long in the making. I have new ideas about how to approach it, and I’m excited. I just have to find the time. Don’t we all? I’ve always believed that if you have a story to tell, you’ll find a way to tell it. For now, I’m taking it one paragraph at a time. Growing up, I loved Mother’s Day. It was an excuse to draw pictures for my own mom, a reason to ride my bike around the neighborhood and find freshly picked flowers for her. I didn’t know that the flowers I picked — usually dandelions and Queen’s Anne’s lace — were actually weeds. Mom never let on. She treated every gift I gave her as though it was the best. “You made my whole day!” she’d say. After my mom passed away, I hated Mother’s Day. From age 11 on I tried to avoid it — which is nearly impossible, given all the Mother’s Day ads that seem to start appearing earlier and earlier each year, and the mother-daughter photos that flood my Facebook feed. For a long time the holiday was symbolic of what I didn’t have, a reminder of the void that gnawed at me from within. This is you last weekend, just before you went into the pool for the first time. You were crying, but it almost looks like you’re laughing! This Mother’s Day feels so different. I’ve gotten cards and gifts and I’m going out for a Mother’s Day brunch with you and Dad. Instead of thinking about being a motherless daughter, I’m in awe of the fact that I’m your mom. I’m a mom! I’m actually a mom! And you, all 12 pounds of you, are my precious daughter. You’re only three months old, but you’ve changed my life in so many ways and have already taught me so much. Becoming a mom doesn’t make me miss my own mom any less. If anything, it makes me miss her more. But since becoming your mom, the void doesn’t feel as deep or as dark as it once did. I’m lucky to have lots of maternal figures in my life, which has also helped. I don’t think there’s one word that accurately sums up the complexities of motherhood. It’s a continuous mix of grit and grace, pride and patience, humility and humor. Before I became a mom, I never realized how much time I’d spend talking about poop — and washing it off clothes, swings, and car seats. I’ve become a breeding ground for bodily fluids, and I’m surprisingly ok with it. Breastfeeding was initially one of the biggest challenges of early parenthood. It was painful, and your difficulty latching left me feeling frustrated, especially when you would cluster-feed. But we grew and learned together. Now you latch better and I’m more patient. Feeding is bonding. 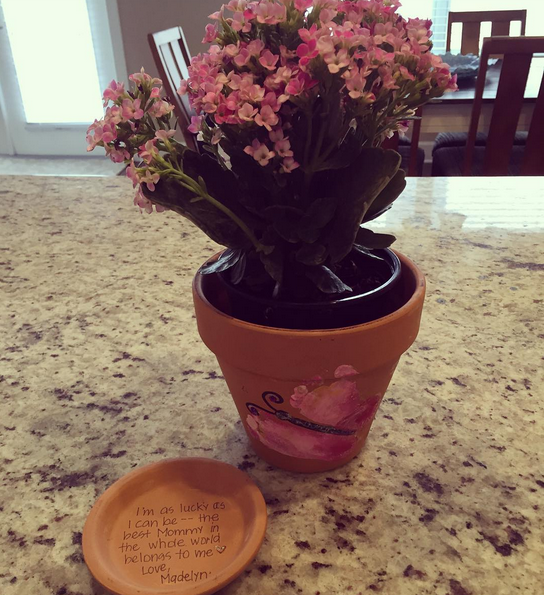 My first Mother’s Day gift was a painted butterfly flower pot with the sweetest message: “I’m as lucky as I can be — the best mom in the whole world belongs to me.” If you look closely, you’ll see that the butterfly wings are actually your footprints! A little birdie must have told you that I love butterflies because they remind me of my mom. Thank you, sweet Madelyn, for the gift (and thanks to your wonderful nanny for helping you with it). It made my whole day! Whoever came up with the saying, “I slept like a baby last night” probably didn’t have a baby. Similarly, as I read somewhere recently, whoever said “don’t cry over spilled milk” probably never breastfed. You’ve made me realize that not all cries are created equal. You’ve taught me what it means to be totally responsible for another human being 24/7. I used to think my Gramz was being insensitive when she would say: “Your life is not your own when you have a child.” Now I understand what she meant. You’ve motivated me to set boundaries as a working mom — to stay focused at work and be fully present with you and your dad at home — so that I can fulfill both roles. I don’t always succeed, but I’m trying. You’ve given me a confidence boost by showing me I’m capable of calming you down and making you smile. Nurturing you didn’t come naturally at first, but now it’s second nature. You’ve deepened my appreciation for silence and the rare moments when I have uninterrupted time to myself. 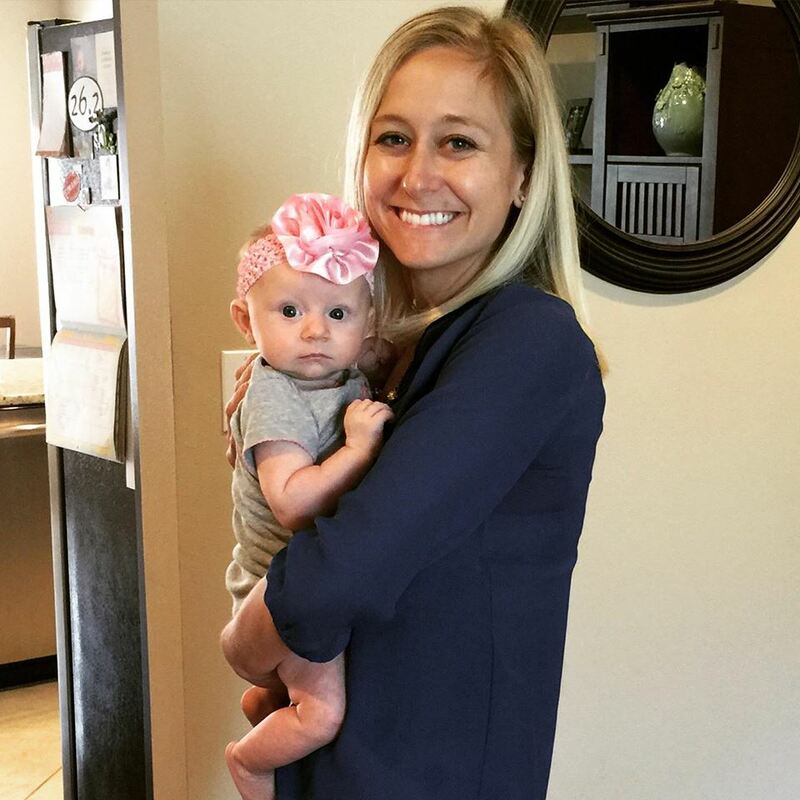 You’ve taught me that it’s ok to mourn the loss of free time, date nights, and sleep when you’re a new mom. More importantly, you’ve shown me that not all losses are tragic or permanent — and that what we gain is often far better than what we lose. With you in my life, sweet Madelyn, I’ve gained so much. I have so many reasons to feel grateful this Mother’s Day — and every day. Time with you and dad is always cause for celebration. 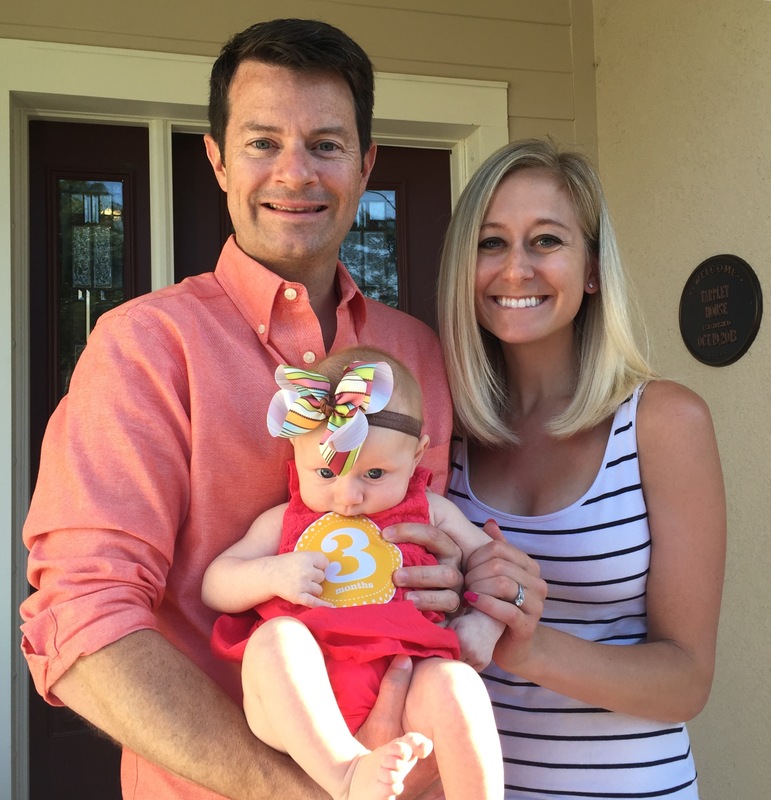 Celebrating the fact that you’re three months old!